As a gift to the community — admission to all events will be free and open to the public — and in conjunction with the release of “C.S. 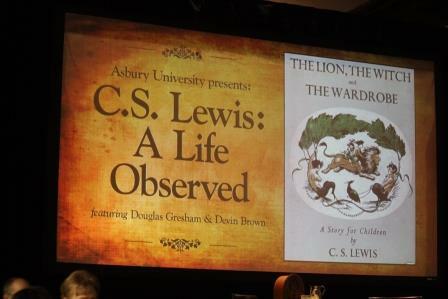 Lewis: A Life Observed” by Lewis scholar and Asbury University Professor Devin Brown, Asbury is flying Gresham to the U.S. for three evening events Sept. 23 (7 p.m. at Asbury), Sept. 24 (7 p.m. at Vineyard Community Church in Cincinnati) and Sept. 25 (6 p.m. at Walnut Street Baptist Church in Louisville). I've actually just recently graduated from Asbury University majoring in Media Communications. On display at the campus are some of the actual props used in Prince Caspian. At the bottom of the article linked there is info on interview requests. Should NarniaWeb send someone for an interview of Mr. Gresham? For more information on any of the three events — including media credentials or interview requests — please contact Asbury University Director of Marketing and Communications Brad Johnson at bjohnson@asbury.edu. Needless to say, I'll definitely be going to at least one of these events. Which US state is Asbury University in? It is hard to tell from this distance on the planet, but if anyone on NarniaWeb does live close by, and has the spare time, it would be great if we could be represented at these functions. Asbury is located in Wilmore, KY along with Louisville. Cincinnati is located nearby in OH just across the Ohio River from KY.
Also, not only will Mr. Gresham be speaking in the evening event at Asbury on Sept. 23rd but he will also be the speaker at that day's morning chapel service. Asbury posts all their chapel service on iTunes via Podcast for anyone interested in taking a listen when it comes out. Now wouldn't it be great if we could have someone attend who could greet him afterwards and give him our best wishes? I was there! 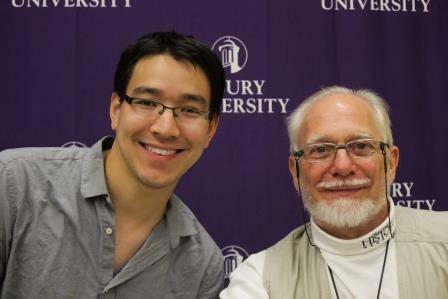 I too attend Asbury University and was there to hear all three of the talks he gave at the University and later got to take a picture with him and get a book signed. Unfortunately I had not seen these posts before then and did not think to greet him for the forum. It was so cool though! Did you take any notes? If you have pictures, can you possibly upload some to here? I only had my phone to take pictures so they weren't the best quality, but I will see if any of them were good enough to post. Here are some photos I took from the event at Asbury. 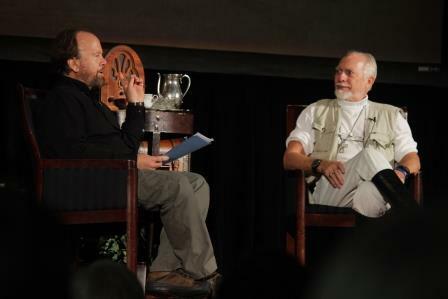 Douglas Gresham being interviewed by Asbury professor, Dr. Devin Brown, author of the book, A Life Observed, a spiritual biography of C.S. Lewis. 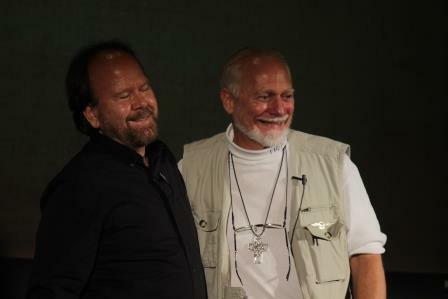 Douglas Gresham wrote the forward for the book. 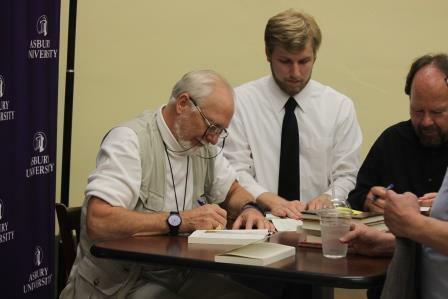 Mr. Gresham busy book signing. My turn to get a photo with the man himself. Thank you! It's good to see this 'brought to life' by photos.